Well, it's only the beginning of winter and it's already so cold and wet that I'm dreaming of summer again. I've noticed a bit of a trend amongst my fellow bloggers - many of them tend to be flying off to warmer places and making me incredibly jealous. Summer is all about the warmth, which usually means you don't want to be doing a lot of makeup and hair styling. 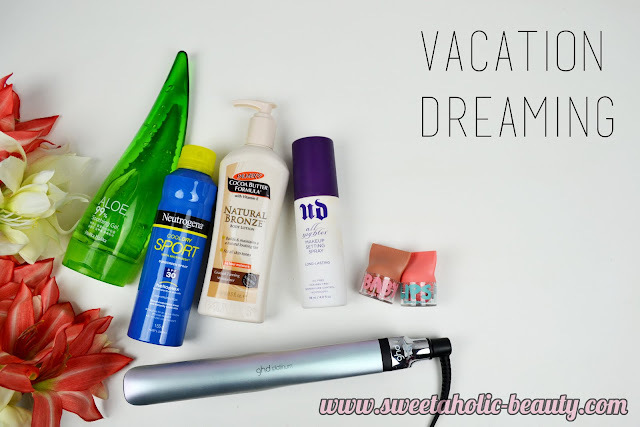 Even though I'm not going on a trip (unless I suddenly win the lotto) I still wanted to share a few summer essentials and products that generally remind me of the warmer weather. So the one thing that I love about ghd, and that I've always loved about ghd stylers, is how easy and simple they are to use. I find that once I use my ghd, my hair calms down, no frizz and stays put without the need of more hair product. Perfect for travelling, really. 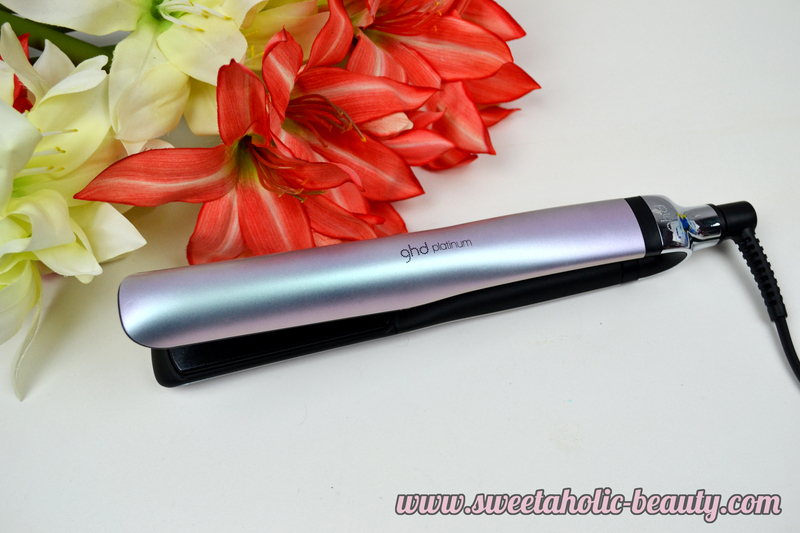 If you're a regular user of ghd you'll know that it has a little light and a little noise to let you know when it's ready. This new model has the cutest noise and sounds so fancy! Also... the packaging? So pretty! Skincare is a must, but can be pretty troublesome in the warm. 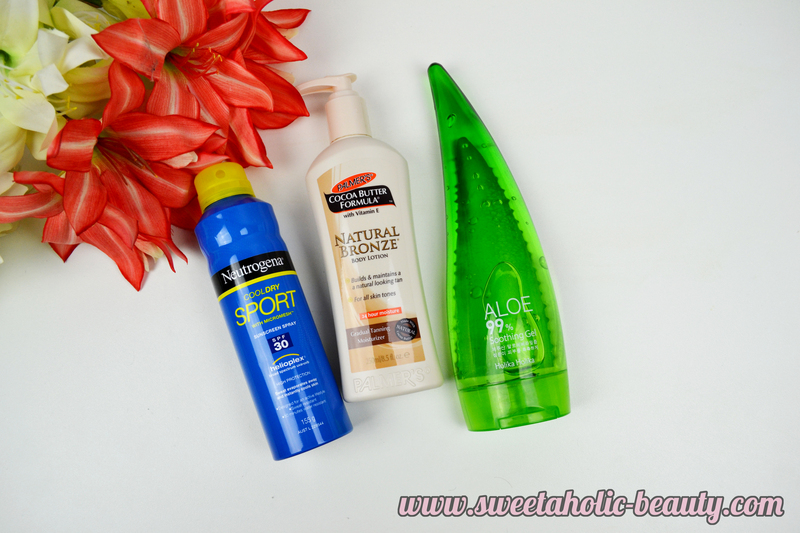 I'm a huge fan of the spray on sunscreen, and one of my favourites has been the Neutrogena Cool Dry Sports Sunscreen. Heavy duty coverage, easy to apply and keeps you safe. I'm not a great tanner myself, and usually, I go a bit blotchy. During winter there isn't much sun so I'll be using the Palmer's Cocoa Butter Natural Bronze Lotion*, which will give me a gradual tan. This one not only smells amazing but also applies really nice, and is more like a regular moisturiser. After sun, you gotta protect your skin. I always use my Holika Holika Aloe 99% Soothing Gel. This is perfect for red raw skin and really helps to calm it down. If you do happen to get sunburnt, this is absolutely fantastic for relief. A definite must have for a summer trip. Makeup is probably the worst in the summer time. If you sweat, it goes everywhere and you end up a huge greaseball. Well, I do at least. 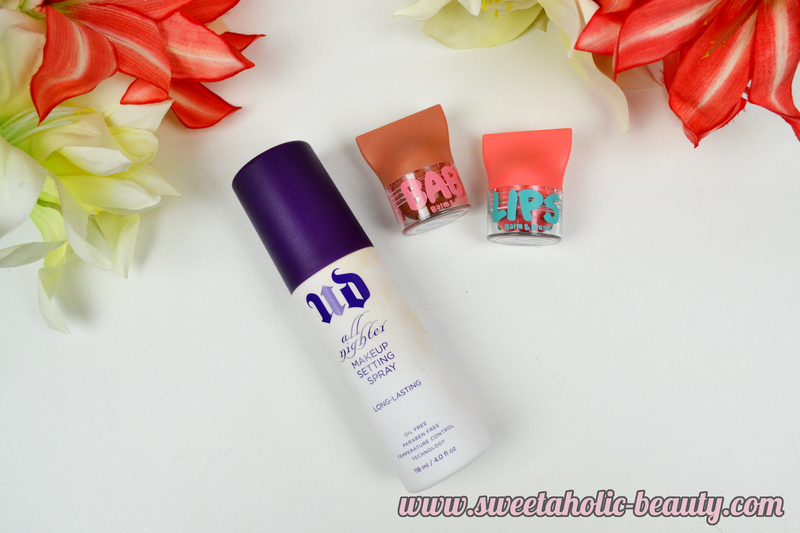 When I discovered the Urban Decay Makeup Setting Spray, I was in heaven. Yknow that meme of guys saying you gotta take your girl swimming on the first date? And the rebuttal is a girl saying she got her UD Setting Spray? Yeah, that is totally legit. I can vouch. This stuff will hold your face on no matter how sweaty you get. I also love a good multi-purpose product. When travelling you want to keep your bags as light as possible. When I was gifted these gorgeous Maybelline Baby Lips Balm and Blush pots*, I knew these would be coming on my travels. Use these as lip balm or as a blush, and they are subtle enough to give you that perfect natural glow. So, while I'm over here dreaming of summer - what are you all doing this winter? Are you travelling to warmer climates? 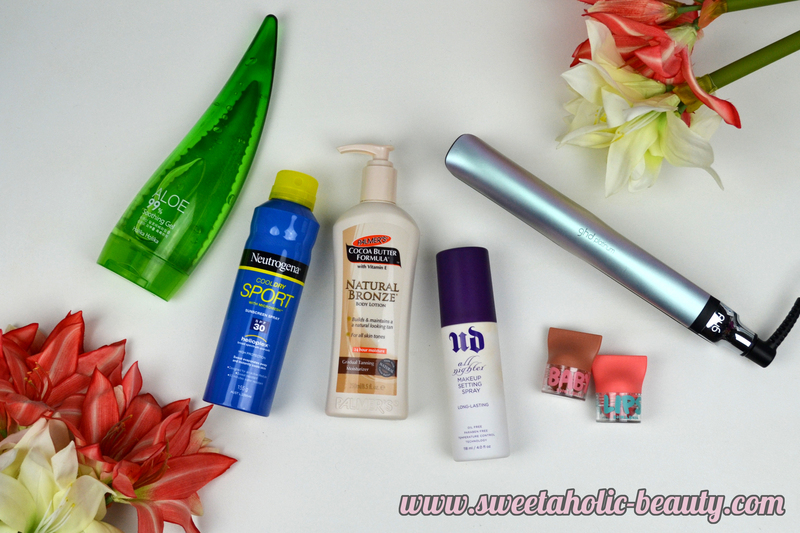 What are your favourite products to remind you of summer?